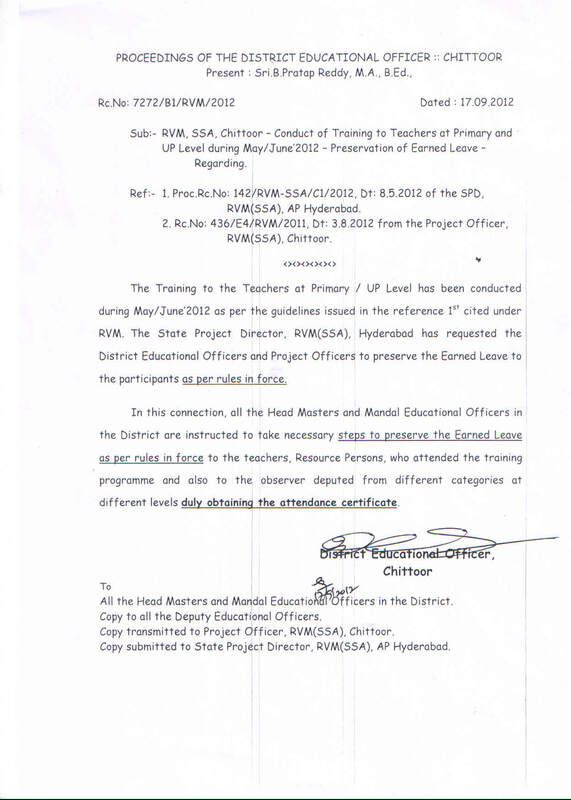 All the HMs / Principals of High Schools / Higher Secondary Schools under managements State Govt., Zilla Parishad, Municipal, APREIS, APSWREIS, APTWREIS, AP Model Schools and KGBV have to prepare School Improvement Plan 2017-18 as a part of RMSA Annual Work Plan & Budget for the year 2017-18. They have to download the following two files. 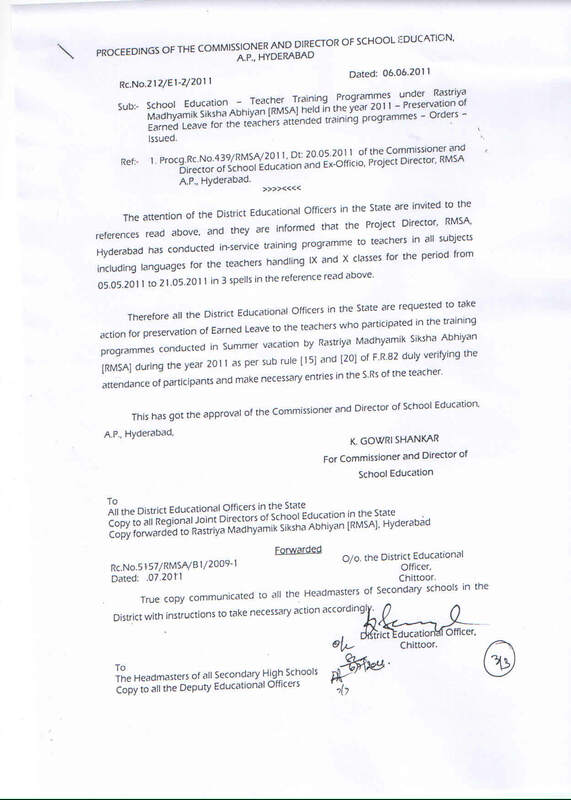 They have to submit one copy of SIP to the DEO, one copy of SIP to the MEO and keep one copy at School. 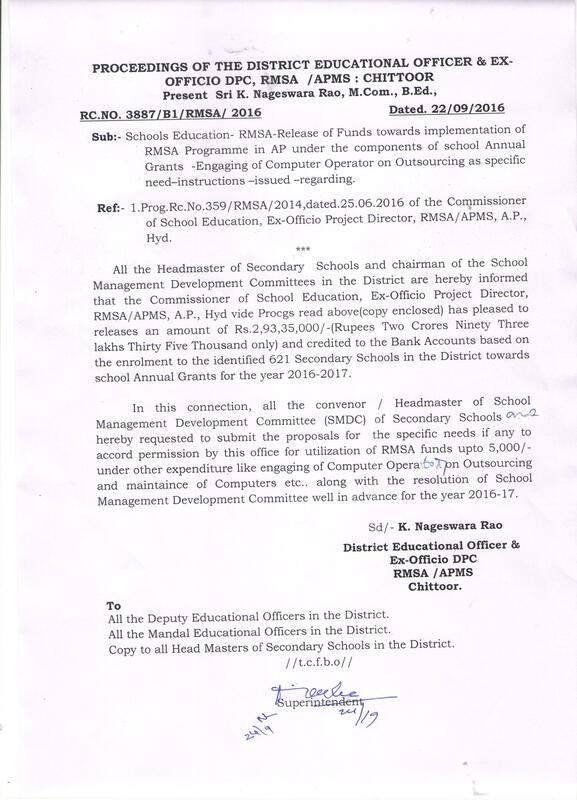 All the HMs of HIgh Schools are informed that 1st and 2nd installments of Annual Grants for the year 2015-16 have been released directly to the SMDC accounts of High Schools by the Commissioner of School Education & Ex-Offico State Project Director, RMSA. 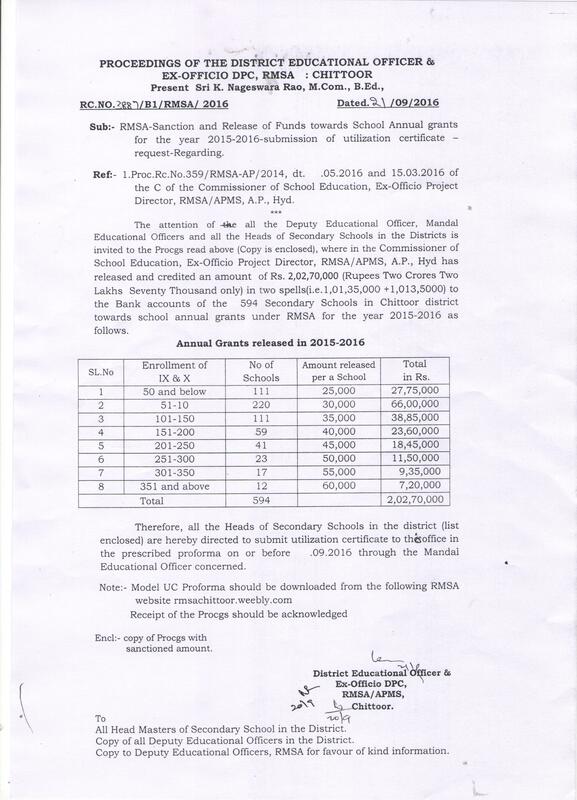 The release of Annual Grants for the year 2015-16 is based on the enrollment of IX & X in UDISE 2014-15 and it is as below. This time grant has not been released to APSWREISS & APTWREIS Schools. 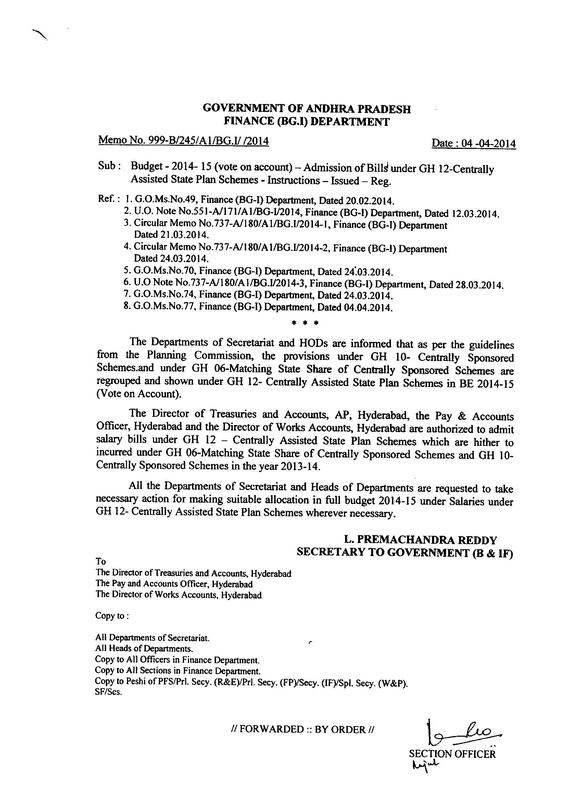 The guidelines for expenditure, Procedure of preparation SMDC resolutions and UC formats have also been issued. All the information is attached below in five files. The attachments have to be downloaded and utilize the grants without fail. 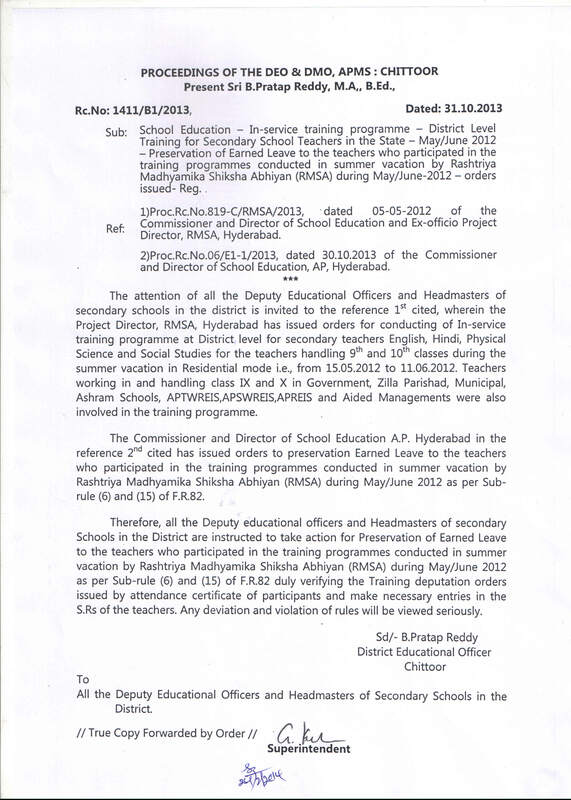 The HM who fails to utilize the grants will be viewed seriously. And it is also informed that if any previous unspent balances are there, they should be utilized immediately instead of remitting back. The 1st installment (i.e. Rs. 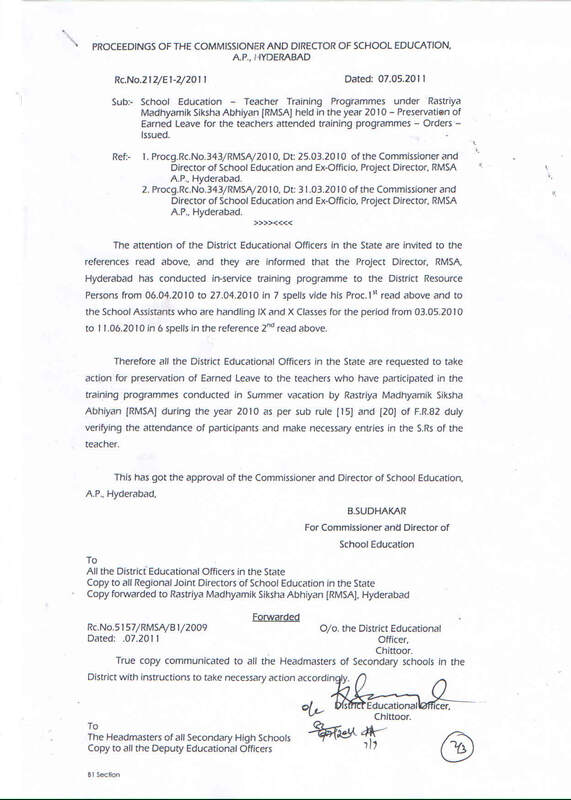 25000/-) of Annual Grant for the year 2014-15 has been released to the High Schools / Higher Secondary Schools under GOVT, ZP, MUNICIPAL, KGBV, APRS, APSWR, APTWR managements in August 2014. The 2nd Installment of Rs. 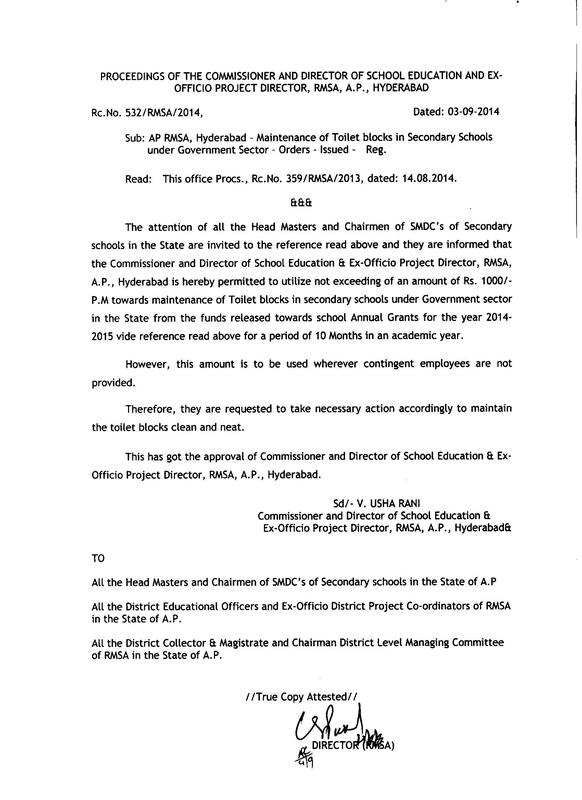 20000/- only has been released on 31-03-2015 . 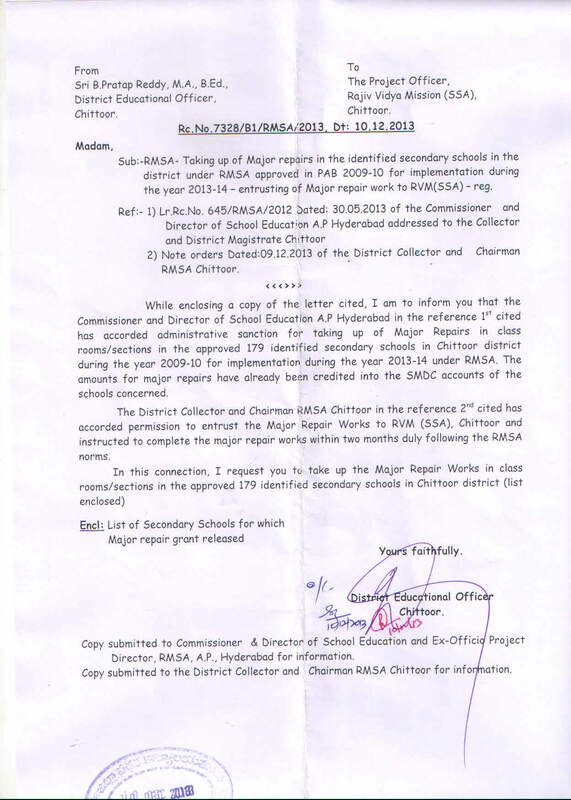 The Heads of the institutions are requested to utilize the grants of Rs. 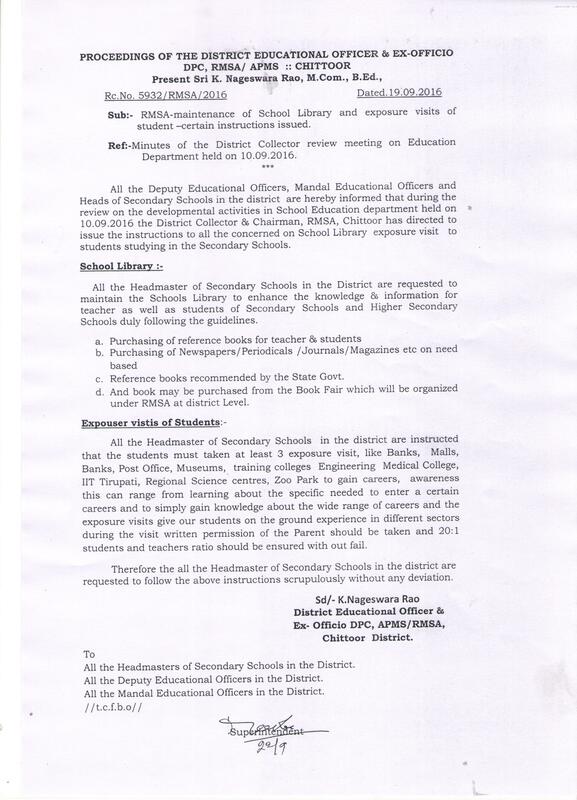 45000 /- proportionately as per the guidelines. 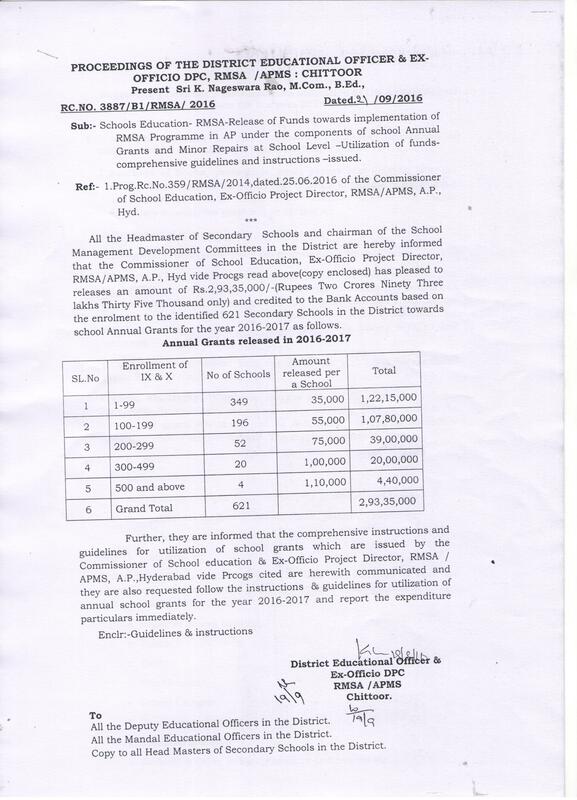 The Guidelines of the Annual Grant for the year 2014-15 are attached below. Please download.